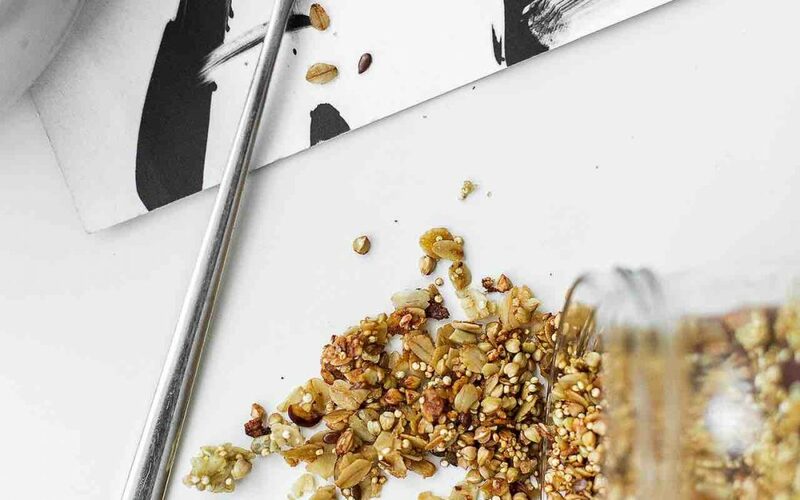 Inside Scoop: A list of the most delicious and healthiest energy bars for snacking on-the-go. We know you’ve been in a health food store or the grocery store and sat in that aisle rummaging through energy and snack bars thinking to yourself, which one is the best? You’ve got energy bars for exercise, for vegans, gluten-free, made with natural sweeteners, made with stevia, high in protein, jam-packed with added vitamins and minerals, expensive, cheap… the list goes on because there are hundreds of different brands out there. Some of the energy brands are really amazing (and we’ve found them, wink wink), but some of the brands have pretty packaging and health claims that don’t live up to their hype. Because of all of this we really wanted to break down some of our favourite healthiest energy bars for snacking! If you’ve ever had a smoothie and felt instantly bloated after? 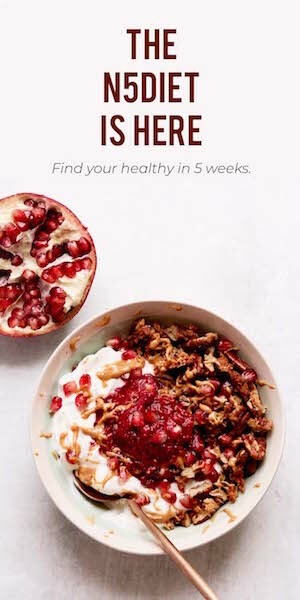 Your smoothie most likely used a whey protein powder, which caused this insta-bloat. Bottom line, North American diets already have too much dairy in it, and whey (a protein taken from dairy) is in most cases unnecessary in protein bars. With that said, if you’re ok with whey it does have its benefits, here’s what to look for. Soy has naturally occurring plant estrogens (which depending on your case can have its benefits or drawbacks). Soy protein isolates are highly processed, mass-produced and found everywhere. 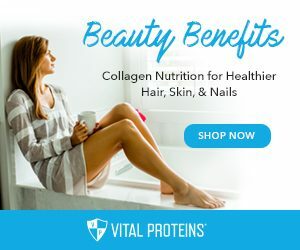 Organic sprouted whole forms of soy is something we can get behind in appropriate quantities, but the soy protein isolate that’s found in protein powder and bars, is usually highly mass-produced, and potentially harmful in high quantities. Whether it’s energy bars, granola bars, or any other variety of bars to snack on, some of them just don’t live up to the healthy hype they claim due to their high quantity of added sugars. If the bar contains too much sugar and not enough protein and fiber to support it, it’s probably not worth it, as it could mess with your blood sugars haywire. Try to look for more natural sugars or fruit to sweeten. Sugar is as sugar does, but artificial sweeteners may even be worse. A study from Harvard Health claims that it is possible that the intensely sweet taste that artificial sweetener has can “over stimulate the sugar receptors from frequent use of these hyper-intense sweeteners, which may limit tolerance for more complex tastes”. Check out this article that talks about most commercial protein powders and why you may not really need them. GOMACRO. When we were in school Jenni used to bring one of these to class every day. They are chewy and delicious! They use brown rice syrup and have amazing flavours like: Cashew Caramel, Granola Coconut & Peanut Butter Chocolate Chip. Find them here. RXBAR. 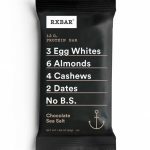 RXBAR has become incredibly trendy as of late, and why not? These amazing snack bars are made with whole food ingredients, and as a matter of fact you can see exactly what goes into the bar on the front of the label. These energy bars have got what it’s going on, no added sweeteners, whole food ingredients and incredibly good for you. You can find RXBARS by following this link. FIT CRICKET BARS. Oh, you didn’t think you would get through this post without coming across an energy bar filled with taboo and strange kind of protein, did ya? 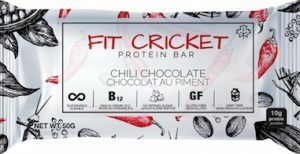 Cricket protein powder is starting to become a very trendy and interesting (not to mention incredibly sustainable) source of protein, and some very smart and cool companies are getting in on the cricket action. South American and Asian cultures have been eating crickets for centuries, and now we are finally tapping into the cricket’s potential as a protein source. Those bars are geared towards sports peeps. Just trust us before you get weirded out by eating crickets, Fit Cricket bars taste incredibly delicious. 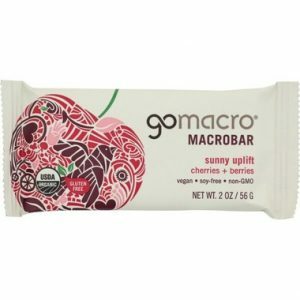 Check out their bars here. 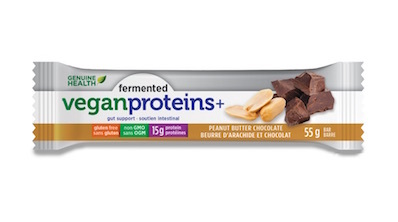 GENUINE HEALTH FERMENTED VEGAN PROTEINS+. This is Mirna’s favourite breakfast or meal replacement bar. The bars are high in fiber, high in protein and fermented which means better digestion and maximum protein absorption without the bloat! With 15 grams of protein per bar, they’re perfect for post-workout or as a meal replacement when you’re on on-the-go. Our favourite flavour is Peanut Butter Chocolate, but you can explore all the delicious and filling Genuine Health bars here. KEWAZA. 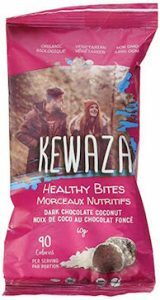 If you like flavours like: Cookie Dough, Dark Chocolate Coconut, Banana Bread & Peanut Butter Cookie Dough, then you have got to try Kewaza Energy Balls. 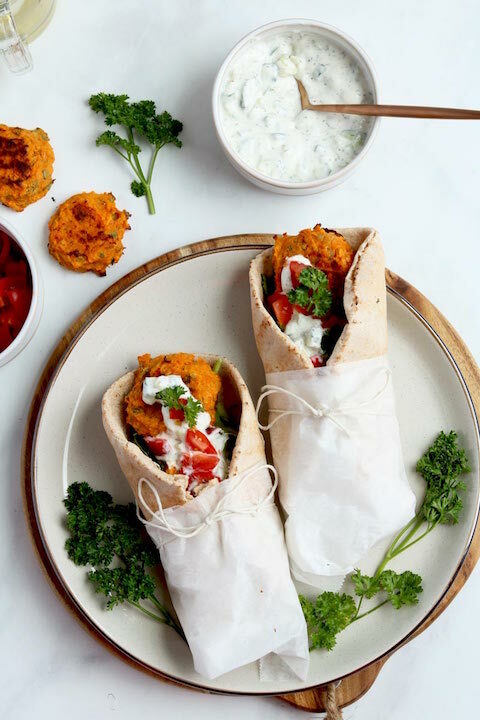 Also, made using dates to sweetener, are organic, gluten-free, made with plant-based proteins, and completely preservative free, these healthy little bites are a great addition to your lunch, your kid’s lunches, or your purse for when you are busy and on-the-go. Check out their awesome flavours here. NAKD. Nakd bars, just like Lara bars, definitely top the list for simple and natural ingredients, using dates as a natural sweetener. They are the perfect purse and on-the-go snack bar, you can also find them in snack packs with bites sized balls. They have delicious flavours like: Cashew Cookie, Banana Crunch, Cocoa Delight, Berry Delight and Strawberry Crunch. 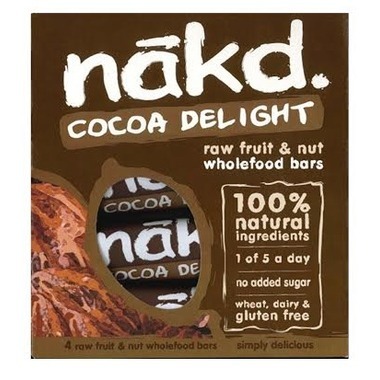 Pick up a box of Eat Nakd bars here. WELO PROBIOTIC BARS. 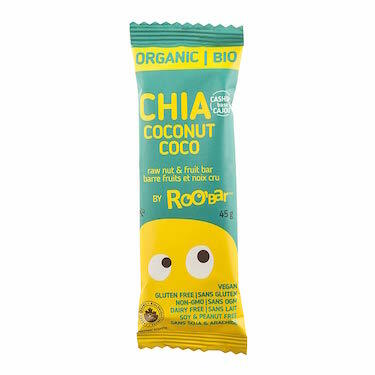 We discovered these little gem bars at a recent health food show and are hooked. 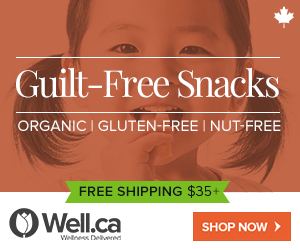 With only 3 grams of sugar per bar (yes, the lowest we’ve found) these bars are made with gluten-free oats, brown rice crisps, nuts/ seeds and they have 3 billion live probiotic cultures per serving for a healthy gut. They have definitely become one of our favourite snack bars. They even have mini kids bars with only 2 grams of sugar per bar. Get your delicious probiotic bars here. ROOBAR. Roobar is also a great snack bar brand. 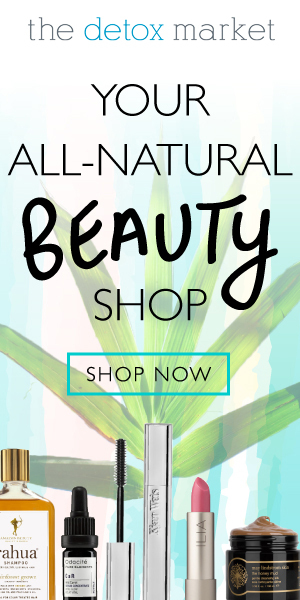 The company uses nutrient dense superfood powders such as maca or baobab and are organic, raw, vegan, gluten-free, have no added sugars, and use plant-based proteins. You can buy in bar form, or energy bite form, grab one of their interesting and fun flavours like: Chia Coconut, Maca Cherry, Pineapple Baobab, Chocolate Chip & Vanilla here. NOMZ. These energy bites may be a bit more expensive per pack, but boy are they worth it! 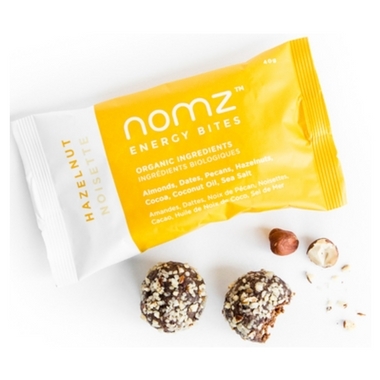 The Hazelnut Energy Bites are our favourite and so incredibly delicious! 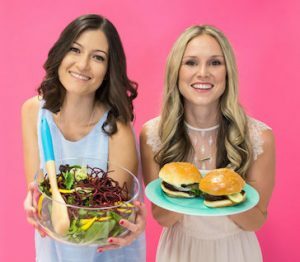 Nomz uses plant-based protein, are vegan, gluten-free, peanut free and have no refined sugars. As a matter of fact, most of their bars use whole dates as a source of sweetener, which means they are high in fiber and protein, and the natural sugars are balanced so they don’t send your blood sugars on a rollercoaster ride. Get Nomz here. LARABAR. One of the most popular bars is made with the bare minimum # of ingredients, uses whole dates to sweeten, and made with less processed sources of protein, such as nuts and seeds, Larabars are many people’s snack and energy bar staple! Oh, and hey, they’re not outrageously expensive either. Buy an entire box for less than $2 a bar here. If you are totally into this, but don’t necessarily want to spend the money on the aforementioned energy bars, we have you covered. 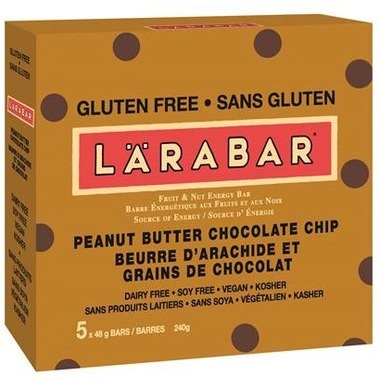 MAKE YOUR OWN HEALTHY PEANUT BUTTER CHOCOLATE CHIP LARABARS BY CLICKING HERE. Did we miss one of your favourite healthy energy bars? Comment below if you have a favourite snack bar that’s not on this list.